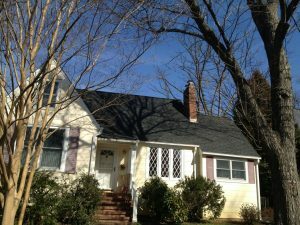 This new roof in Arlington VA was installed a few weeks ago. 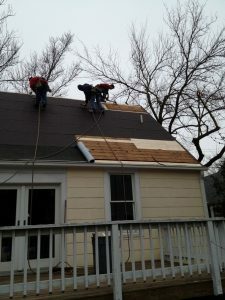 Our repair foreman told me that I wasn’t posting enough shingle roof jobs on the blog. Before: the roof was a standard 3 tab shingle which had developed some leaks over the years. 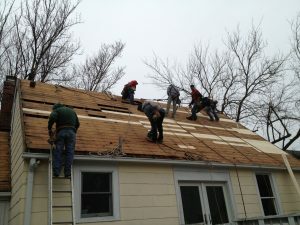 The roof also had some ventilation problems which you’ll see the results of when we get into the job. 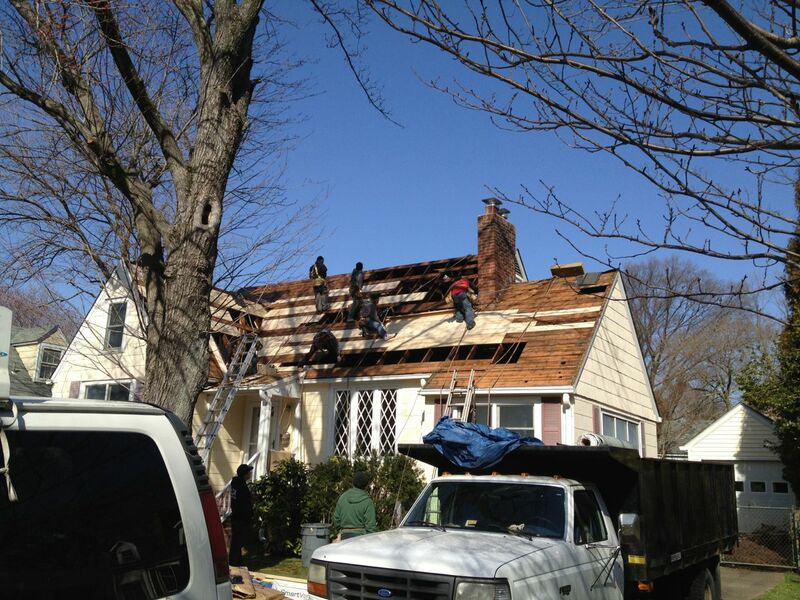 Tear Off: we remove all of the old roofing and replace any rotted or cracked boards. 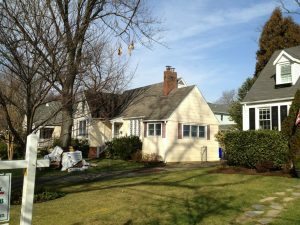 Some of the replacement was due to leaking from the pipe flashing at the right but a lot of the decking was cracked lengthwise. When cracks run through the boards it really increases the likelihood that anything nailed into it (like new shingles) won’t hold. 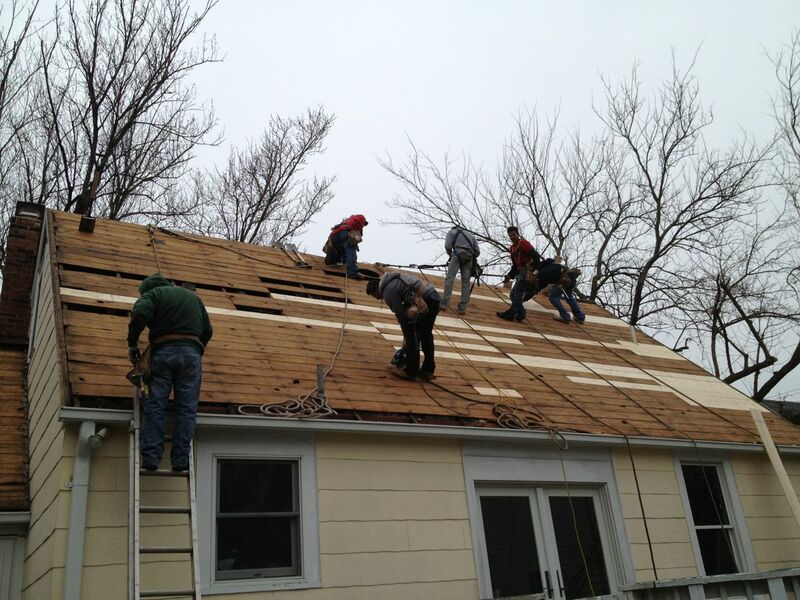 Leaving cracked or rotted boards will have the roofs life cut 75%. After: the shingles, flashings and ventilation are all in place and the roof is complete. 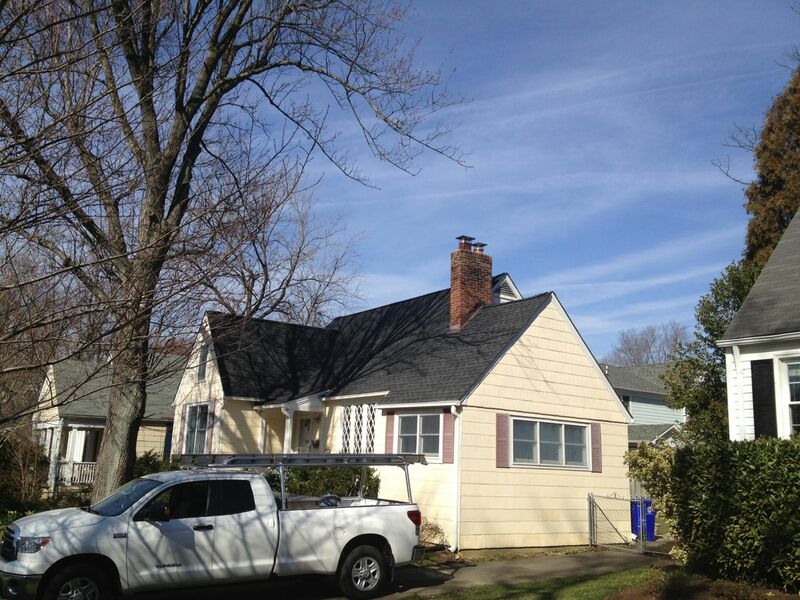 The shingles are GAF Timberline HD Lifetime in Charcoal.